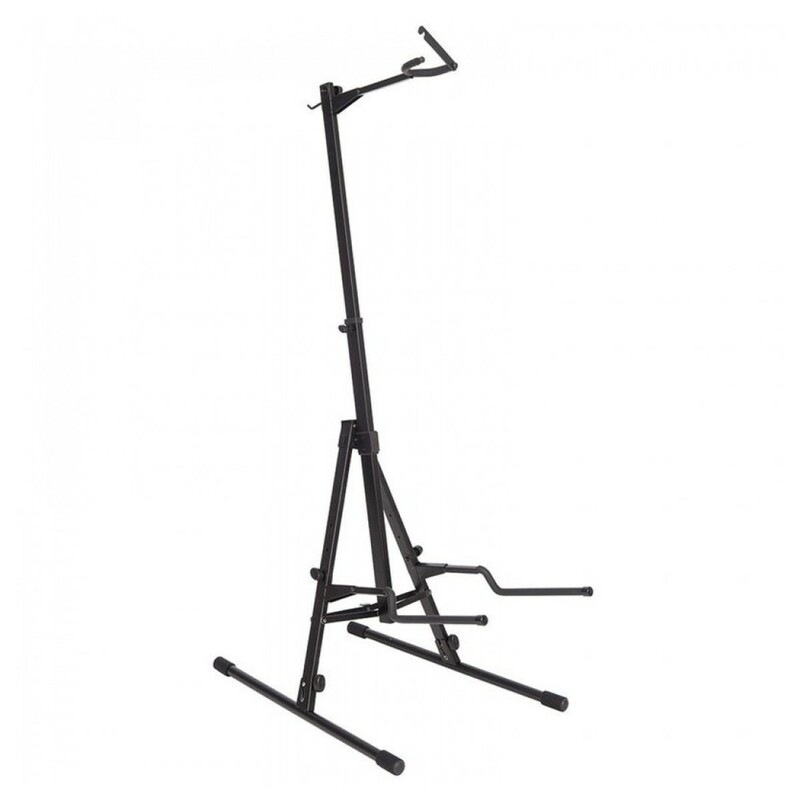 This Kinsman Stand is suitable for use with either cellos or double basses. The stand folds flat so is ideal for travelling musicians with little storage space. The 'A' frame consists of black metal stands and a bow holder. As well as this the stand comes with an adjustable height neck holder and protective foam padded supports, to prevent the instrument's finish from damage.